Having been in Australia for six weeks we wrapped up our trip in its largest city: Sydney. A lovely place, it reminded us of our own San Francisco: Huge bridge, bay, hills, good weather (better in Sydney I think, summers are warm here! ), and both have very expensive housing markets. There are differences too: Sydney feels a lot more livable and relaxed than San Fran. It's cleaner too. I'd say San Fran is a tad prettier though. Oh, and for anyone who's braved the frigid waters of northern California... The ocean here is a lot warmer! There's tons to do in Sydney, more than we could ever hope to fit into six days. We were also a little lower on energy than at the start of our trip so we took things easy. We celebrated my wife Katrine's birthday with a seafood lunch cruise (with Thomas Cook Cruises, not bad) and a circus performance at the Opera House (Le Grand Cirque Adrenaline: excellent). We also spent a couple days with friends in Manly and near Bondi beach (which we didn't visit). We mostly stayed close to our apartment which was well located just north of Chinatown, and enjoyed visiting Darling Harbour, the downtown area, and its parks. The Sydney Tower is worth it for the panoramic view and the Aquarium and Wildlife World are sure to please young and old alike, esp. with the cool Lego displays. If you like shopping check out the open market at The Rocks (neighborhood at the base of the Harbour Bridge). It's on every Saturday and Sunday, and there are lots of stalls to tempt you (we were won over by a didgeridoo). Buy a combined ticket for these four attractions (Aquarium, Wildlife World, Tower, and Manly Aquarium), you'll save a lot and these are worth visiting. Well, the first three definitely are, we didn't have time to visit the fourth having spent all our time at Manly beach! Slowly making our way south to Brisbane we decided to visit Fraser Island, the largest sand island in the world. Fraser's a pretty unique place: over 1,000 square miles of sand with rain forests, fresh water lakes, dunes, mangroves, swamps, the purest strain of dingo in Australia and much more. Life is so abundant here thanks in large part to fungi in the sand which release nutrients for plants to absorb. 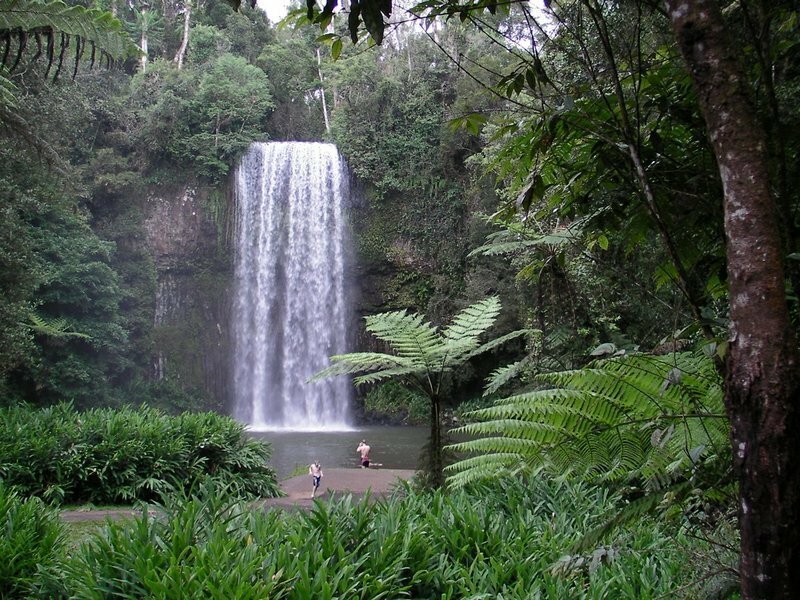 We chose a two day tour of the island via Queensland Bookings. We were picked up at our hotel on the mainland in Hervey Bay, bused to a ferry terminal, and then on to Fraser itself. The buses have a high clearance and, I assume, four wheel drive to able to negotiate all the sandy roads. Day one mainly consisted of stops at Lake Wabbi and Lake McKenzie. They were both delightful to swim in, esp. McKenzie whose waters were cool and blue. Diving to its bottom (depth 10-15 meters?) I startled some turtles rooting about its bed. We stayed overnight at Eurong Station. The accommodations were very spacious but be aware that there is no AC here. Eurong uses generators to supply it with electricity and air conditioning would draw too much power. The fans kept us pretty cool though. The Whitsundays, a large collection of islands off the east coast of Australia are a famous destination for tourists and sailors alike. There are hundreds of idyllic beaches and coves dotted around the islands, and a good number of resorts as well. Though you can rent your own sailing ship to tour the islands, we decided we'd have more fun letting more qualified sailors do the work! We booked a three day / three night trip on the Solway Lass and were as taken by her as with the islands. Originally built in Holland, the Lass has had an exciting life that includes serving in both world wars as well as trading throughout the South Pacific. 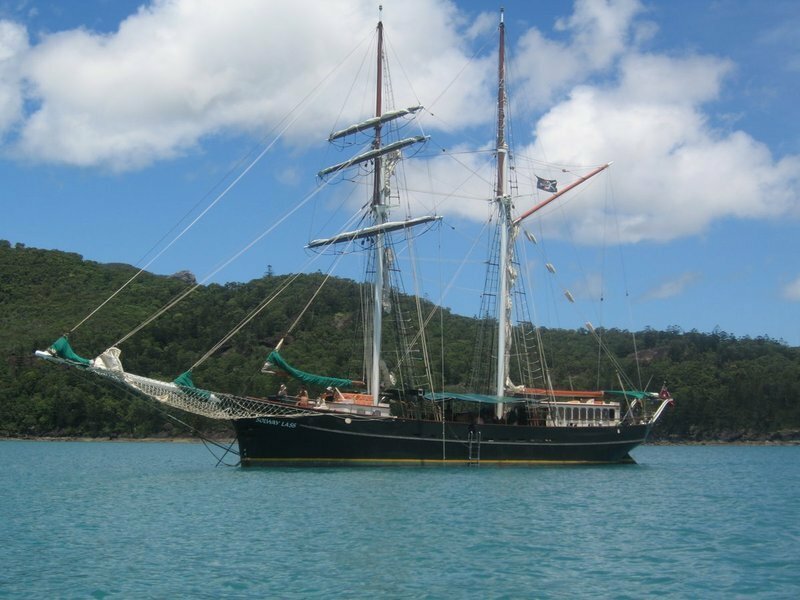 She moved to the Whitsundays about 10 years ago and was renovated for the tourism industry. That means her quarters were reasonably comfortable (with a decent AC system) but not up to the quality of our cabins on our Great Barrier Reef diving trip. We had a great time. The first day was rainy which unfortunately didn't make for the best snorkeling conditions but we still saw plenty of marine life. Just as fun was the rope swing and diving off the bow, our boys couldn't get enough. The crew were always friendly and took good care of us. The second and third days were beautifully sunny and included island exploration, esp. the famous Whitehaven Beach, voted one of the top ten beaches in the world. Perhaps the nicest aspect of the trip was the great company we had on board: a Danish bartender, British-Kiwi affiliate marketeers, a US investment banker, a German Nightwish groupie, a Brazilian environmental engineer... We loved getting to know everyone. 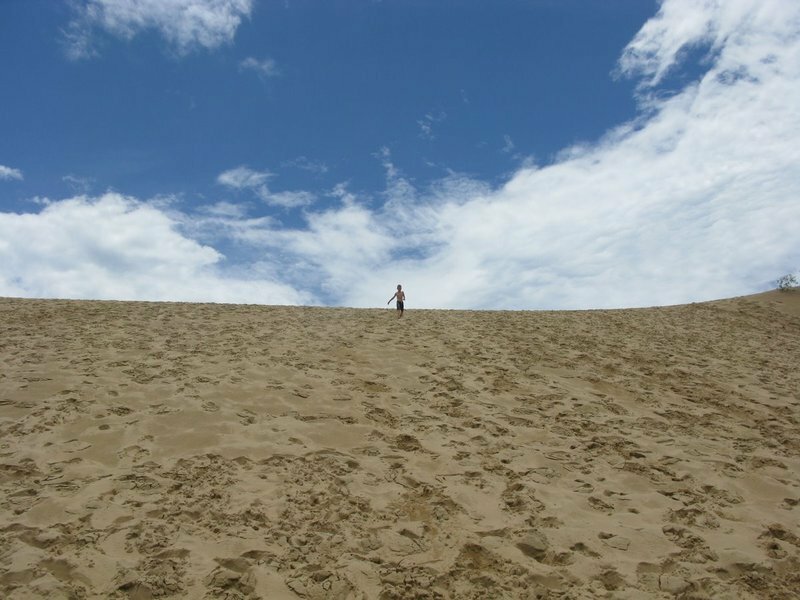 The Tablelands are a fertile set of plateaus to the West of Cairns in the North Eastern tip of Australia. It's a lush, verdant land with red red earth, rain forests, plains, hills, and much beauty. We spent a couple weeks in and around Atherton, the Tablelands' capital, and had a wonderful time (thanks to some great recommendations by friends). Chillagoe is an outback town about 3-4 hrs west of Cairns in Northern Queensland, Australia. 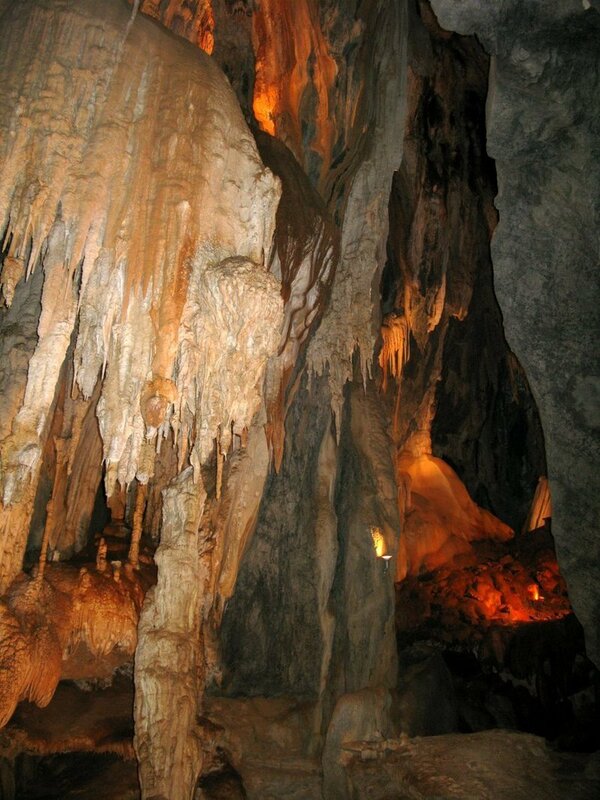 Formerly a mining and smelting town, it's now famous for its spectacular limestone caves. There are apparently hundreds of caves in the area, many quite small. Three caves have guided tours and we visited all of them. We not only enjoyed seeing and learning about the beautiful stalactites, stalagmites, shrouds, pools, false floors and more, but it was also cool to see the caves' fauna such as different species of bats, huntsman spiders, and even a spotted python. Well worth a visit if you're in the area, our boys loved it. We stayed overnight at the Chillagoe Eco-Lodge and Observatory. The new managers were super nice and the rooms decent. Chatting with other guests and locals was an added bonus. 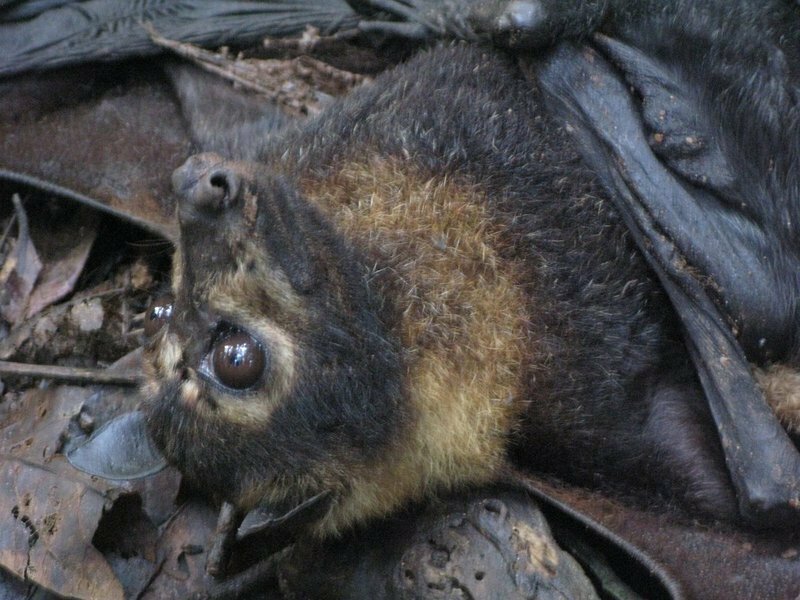 Australia isn't only home to many beautiful birds, it's also home to many species of bat. An everyday occurrence for many Australians, seeing flying foxes in the skies at dusk, was a magical moment for our family. This just doesn't happen in California! A few days later we were visiting friends who live next door to a bat colony. Walking under the canopy we spotted something all too common these days: a fruit bat struggling on the ground. She wasn't alone either: a pup was desperately clinging to its mother. The bat we found had a single tick on it. Our friend removed it but the damage was done: she didn't think the mother would make it, nor would the pup if we didn't do something about it. Wrapped in a blanket we rushed both of them to the local bat hospital: a group of very dedicated individuals working hard to rehabilitate sick, injured, and orphaned bats. The good news? They gave mum an antidote and she recovered! Both mother and daughter are now doing well and when we returned a few days later, the pup had been moved to an external cage. Sadly, unless bats build up immunity to the ticks, I don't see their future very bright. A shame as they're beautiful creatures. So this is one of those Infamous Cane Toads? Australia has an unfortunate history of introduced species running rampant and devastating native flora and fauna. Years ago it was rabbits. These days it's the cane toad (bufo marinus). Originally from Central and South America, the Australian toads were introduced in 1935 from Hawaii to eat beetles attacking sugar canes. 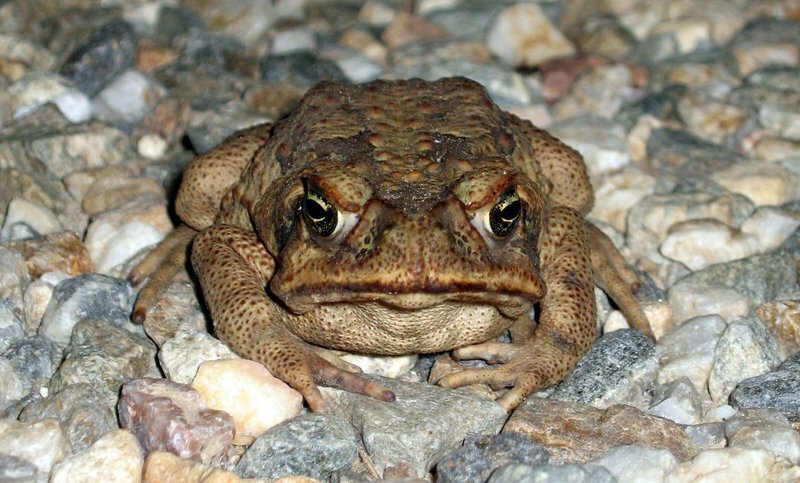 Only two problems: one, the toads apparently don't like living in the cane fields; two, they're toxic and have no known predators in Australia. Indeed indigenous fauna such as lizards have declined from eating the toads. The toads are all over Queensland and rapidly moving into all Australian states. More proof that we humans are pretty poor at playing God. Our three day live aboard adventure is over and we had a wonderful time. Snorkeling turned out to be just as fun as diving: we could be with our children and close to the surface colors just pop out. The boys had a blast, seeing fish, small sharks, and even swimming with and petting a turtle. 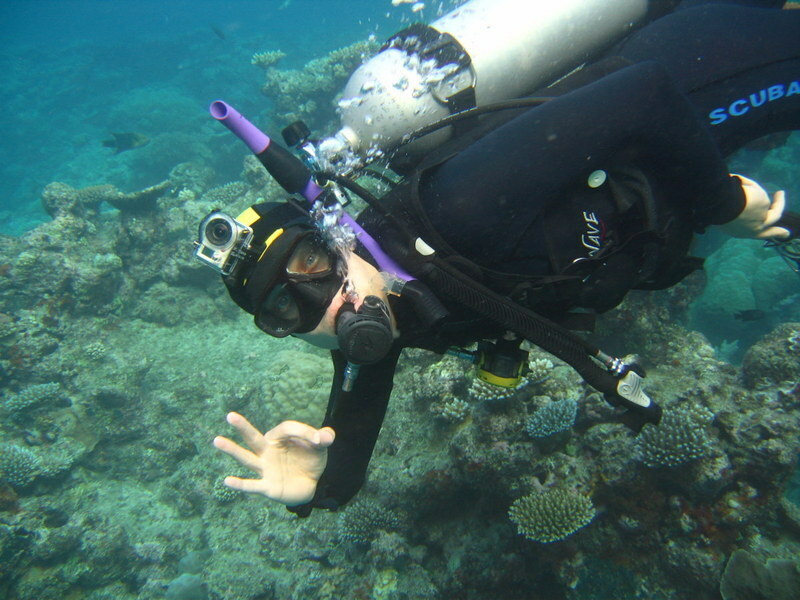 If you're looking for a diving adventure, we recommend Pro Dive Cairns: the crew were friendly, enthusiastic, and professional, the accommodations good, and the dive sites excellent. For an affordable stay in Cairns, we really liked Tropic Days Inn. It has great atmosphere with hammocks, a swimming pool, musical instruments, pool table, etc. The owner, Gabriel, was incredibly helpful and made us feel at home. He also owns a sister hotel in Cairns, the Travellers Oasis. 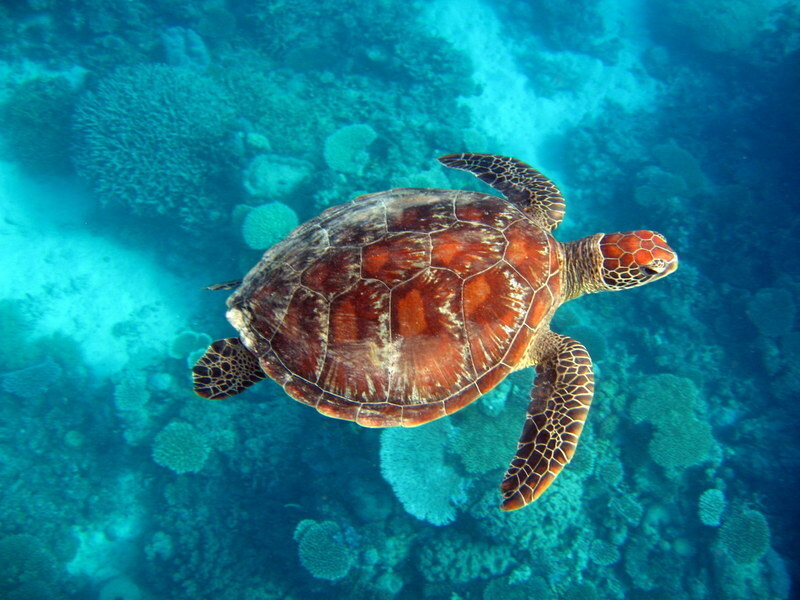 We're having a fantastic experience diving the Great Barrier Reef. The water is clear and warm. The fish are abundant. The corals beautiful. Pro Dive, the Cairns-based operator we picked has been great so far. One difference with other companies is that we stay on the same boat all the time instead of transferring to a bigger boat moored permanently on the reef. This lets us get to know the crew and other passengers much better. Biggest fish so far: a large barracuda (1.5m?) was very inquisitive during our night dive.